Great for some fuel on the trail. Just add water to make the consistency you want. 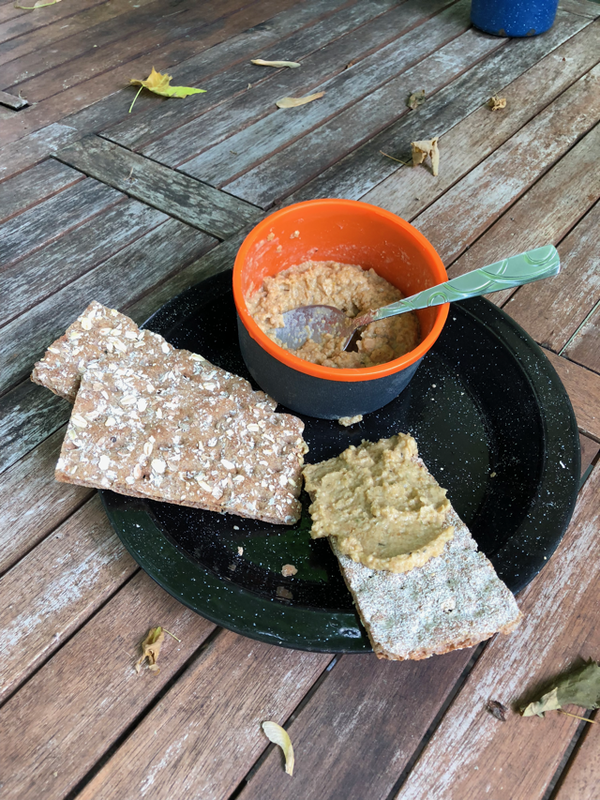 Spread on some crackers, tortilla chips, or my favorite, WASA Multigrain Multigrain Crispbread.